What is important about this [conference]…is that this is an open meeting with representatives of leading Arab countries that are sitting down together in order to advance the common interest of war with Iran. What is most striking about this statement is that it’s the first time Israel or any world leader has called for a first-strike against Iran. Note that there is no conditions laid. He doesn’t say if Iran attacks, we will respond, the usual polite formulations of past U.S. and Israeli governments. This is Bibi thundering on the world stage for these 60 nations to wage war against a common enemy and destroy him. The conference has turned into a U.S.-led dog-and-pony show featuring the Trump administration and all its far-right European allies (Hungary, Poland, etc.) along with much of the Sunni world and Israel. Along with the official delegates, the anti-Iran terror group, the MeK has established a major presence in the Polish capital. The BBC reported today that 14,000 tweets promoting the conference have been published in the past few weeks. The vast majority originate from eight accounts. The rhetoric of the tweets clearly indicate they are associated with the MeK. Yet another example of anti-Iran social media manipulation. National security advisor, John Bolton, set the tone for the conference by releasing a video days before it began, threatening Iran with annihilation. He warned Ayatollah Khamenei, who’d just celebrated the 40thanniversary of the 1979 Islamic revolution, he “would not have many more anniversaries to enjoy.” In a separate development, U.S. media reported last month that Bolton had requested a Pentagon battle plan for an attack on Iran. Bellicosity like this is music to Netanyahu’s ears. After all, he stood on the verge of launching an Israeli attack on Iran two different times. He was only restrained at the last moment by his military-intelligence chiefs who persuaded the security cabinet that it was a very bad idea. Netanyahu also tried unsuccessfully to persuade two U.S. presidents to attack Iran (Bush and Obama). Finally, to have a figure like Donald Trump in the White House, advised by anti-Iran hawks like Bolton and Secretary of State Mike Pompeo, is a dream come true. Our enemies know what we are capable of. They understand our policy. Whoever tries to harm us, we will harm him. I’m not mouthing slogans. I’m describing a consistent, clear and determined policy. This is our policy. It is supported by full preparedness, deployment, infrastructure, readiness and, at the right moment, the proper orders. …He who threatens us with extinction places himself in a similar danger and, at any event, will not achieve his aim. Though this earlier formulation doesn’t threaten a first-strike, as Netanyahu did yesterday in Poland, he does infer, based on the fact that he delivered the speech in front of the very reactor which has produced the plutonium to arm all of Israel’s estimated 200 nuclear warheads, that any Israeli attack on Iran will include nuclear weapons. The question is—how much of substance is happening in Warsaw? Are war plans being laid? Or is it all window-dressing, to persuade the world that the conference delegates are mouthing the right platitudes to show their fortitude against their Shia enemy? The same must be said of Netanyahu’s remarks. They augur poorly for future stability of the region. But despite Bolton itching for a fight with the Ayatollah, we must consider Trump’s aversion of U.S. military entanglements. Only a month ago, he precipitously announced that 2,000 American soldiers in Syria would be coming home. He planned a similar troop reduction in Afghanistan. The U.S. president doesn’t appear to have the stomach for prolonged military engagements. Would a military alliance uniting a number of the Warsaw conference participants, encourage Trump to change his mind about attacking Iran? He complains bitterly when he perceives that the U.S. alone is shouldering the military and financial burdens for such enterprises. Perhaps if there were ten or twenty countries to unite in such an attack, he might relent? As any observer of the U.S. president realizes, there is no way to know day-to-day what he thinks or predict what he will do. But we must see Netanyahu’s declaration of war as a real threat that could be acted upon either by Israel alone; or along with its new allies. For over a decade, I have sounded a clarion call against such a misadventure. The reason Shamai Leibowitz and I joined in a campaign to expose the top-secret conversations of the Israeli embassy was we both believed as early as 2009, that Israel wanted to go to war and that it needed to lay the groundwork in this country in order to do so. Those transcripts revealed the Israeli government ghostwriting anti-Iran op-eds in local newspapers, hosting conferences attacking Iran, organizing meetings between American Jewish leaders and members of Congress. All with one goal in mind: prepare the American public for war. 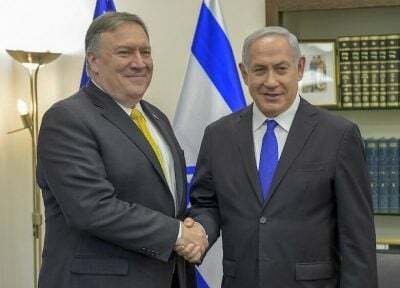 Some analysts believe that this entire campaign was an elaborate ruse designed to make the U.S. government believe Israel would go to war, so that we would do everything we could to satisfy Israel that we wanted to stop Iran obtaining WMD as much as it did; and that we would go to any length to do so.